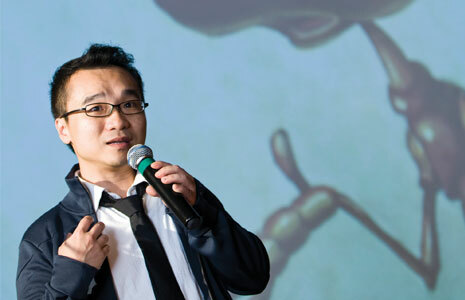 PolyU Design alumni Raman Hui (Co-Director of blockbuster animation hit Shrek the Third) and Dennis Chan (Founder of international jewelry brand Qeelin) will be sharing their stories of success in design and business at the annual Business of Design Week in Hong Kong. Raman has been active on the international speaking tracks telling his fans around the world about his work and his life at the world’s animation powerhouse Dreamworks/PDI. At BODW Forum, he will talk about how he as a local Hong Kong animator made it in Hollywood, how it’s like working there in Hollywood and also share some of his work. Raman recently gave a keynote speech at the Design & Emotion conference hosted by the School in October, where the audience hailed his attention to detail without lacking sight of the big picture.